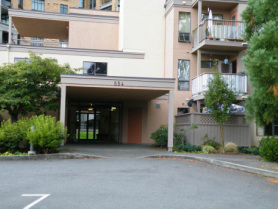 Matson Sequoia Residence is a 30-unit apartment building situated on the harbour in Esquimalt. It is a well-maintained building that offers scenic views. The apartment complex is operated in partnership with BC Housing. To be eligible for residence at Matson Sequoia, tenants must be single, aged 45 or over, and be deemed to be “a household in need”. Rent is based on income and subsidies are available through BC Housing. Matson Sequoia Residence is an independent living complex and does not provide residents with on-site support or assistance. People who need supportive housing or case management should contact the downtown Addictions & Rehabilitation Centre. If you are interested in applying to be on a Matson Sequoia wait list, please complete the application by downloading the document below. The application can be dropped off or mailed to our address or e-mailed to our Business Manager.